At Mt. Carmel Grade School we pride ourselves in being leaders in the community and school district. We are a PBIS school (Positive Behavior Interventions and Supports). Our students know the expectations of our building and are acknowledged for working hard both academically and behaviorally. We focus on attendance and student involvement at school along with our community. Mt. 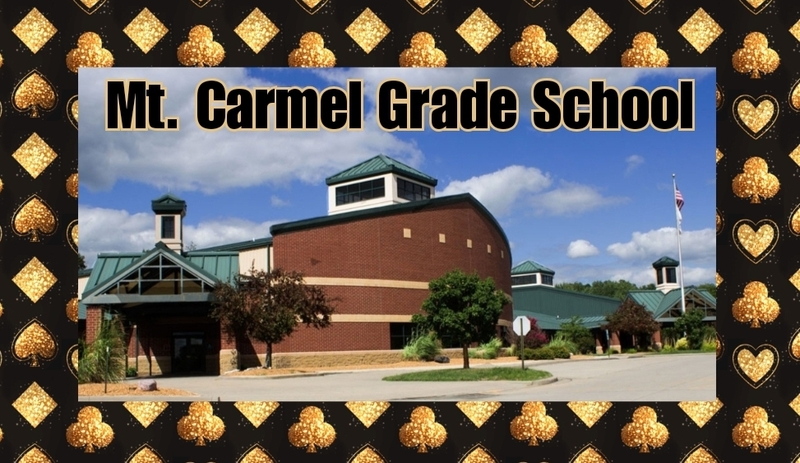 Carmel Grade School is made up grades 3-6. We provide 4 teachers in each grade level and 1 special education teacher. A Response to Intervention Teacher is also provided in each grade level. MCGS provides activity classes for our students as well. These activities include Music, Library, Technology Skills and PE, which is offered once a day. 5th graders have the option of participating in band as well and 6th graders have the option of participating in band and choir. MCGS has a student council made up of elected 5th and 6th grade students. Through Student Council, we engage with our community. Different activities that Student Council is involved in are canned food drives, Veteran’s Day drive and Christmas Give back. We also provide MCGS News every Monday, which is an informative news broadcast starring our Student Council.